Published: Dec. 31, 2017 at 07:39 p.m. Published: Dec. 17, 2017 at 02:57 p.m. 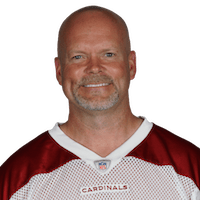 Published: Nov. 26, 2017 at 08:53 p.m.
Arizona Cardinals kicker Phil Dawson hits a 57-yard field goal to win the game. Published: Sept. 17, 2017 at 04:38 p.m.
Arizona Cardinals kicker Phil Dawson hits a 27-yard field goal to win the game.